there will be a Grand Tea Ceremony in Tokyo. that will be held at two place, one is at Edo-Tokyo Tatemonoen and the other is at Hama-rikyu-onshi-teien. it will held at different day. 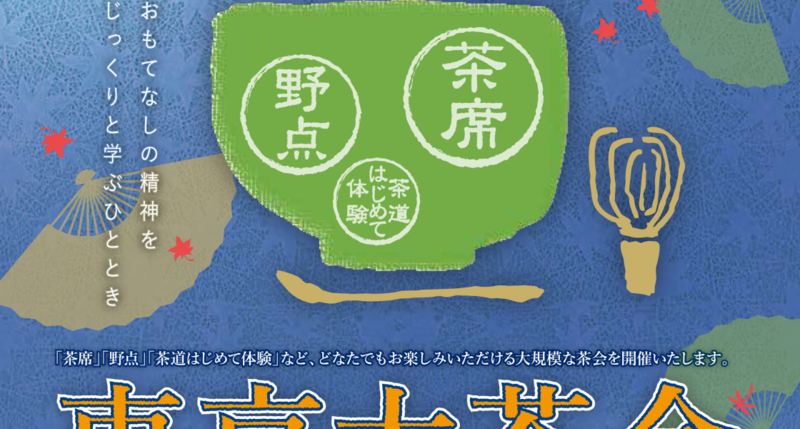 if you want to experience tea ceremony, you need to reservations in advance from official web site. Higashi-koganei (JR Chuo line) need to take a bus from station. CoCo bus from Kita guchi(North gate).